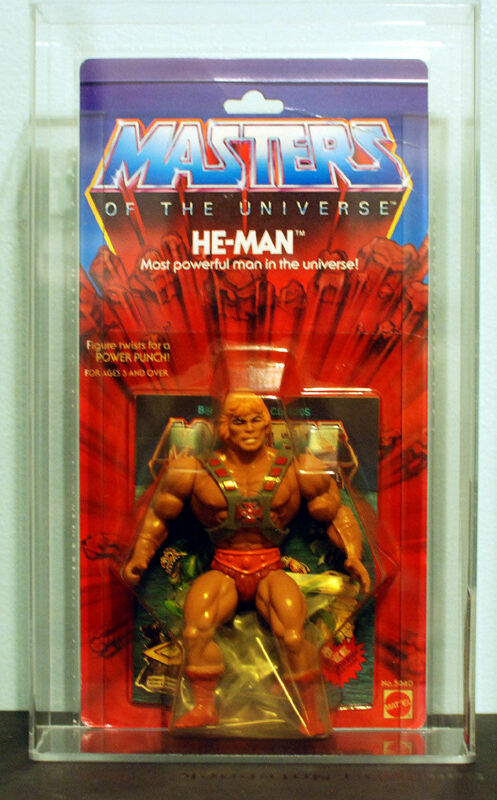 But before He-Man was the most powerful man in the universe, he was merely the strongest man in the universe. Is there a difference between the two, or is it just semantics? Before I get into that, let’s take a look at the places where He-Man was called the strongest man in the universe. 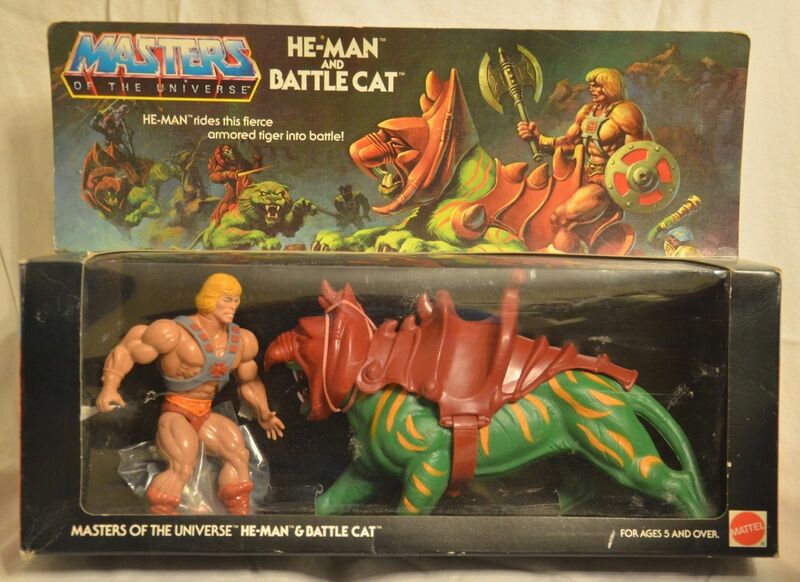 He-Man is also called the strongest man in the universe in a couple of Masters of the Universe Gift Sets – “He-Man and Wind Raider” and “He-Man and Battle Cat”. 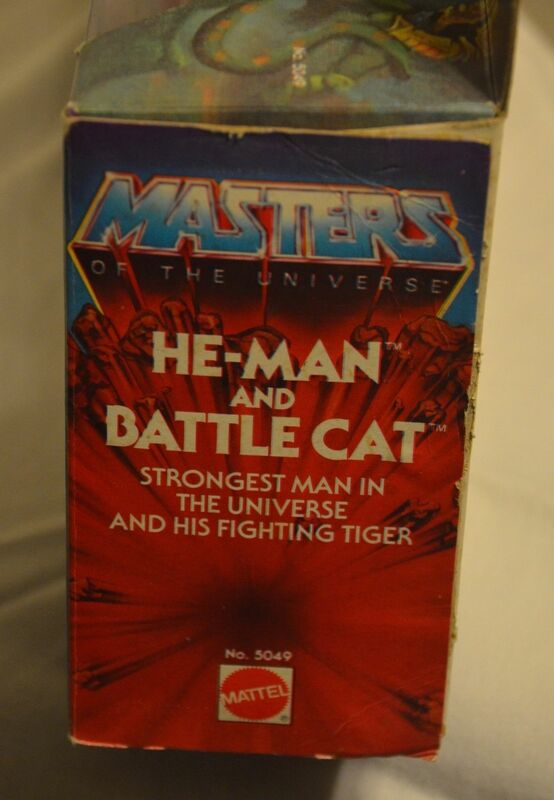 In both cases it is only in the earliest, first editions of the gift set that He-Man is called the “strongest”. In all reissued editions his tag line was changed to “most powerful”. What became clear was that for a five year old, power was a central issue because seemingly they were always being bossed around. Psychologically, they wanted to be the boss. They wanted the power. This then was manifested in the figure by making him “the strongest man in the universe.” The idea is, if you are in charge of the most powerful man in the universe, then this feeds directly into the “why” of their play. As the line developed, the phrase “I have the power” was born to emphasis that point. This is an interesting bit of trivia, but what does it mean? Maybe nothing, but as you might have guessed, I have a theory or two. He-Man, in his first incarnation, was not the nearly omnipotent superhero powered by Castle Grayskull’s magic that he would later become. 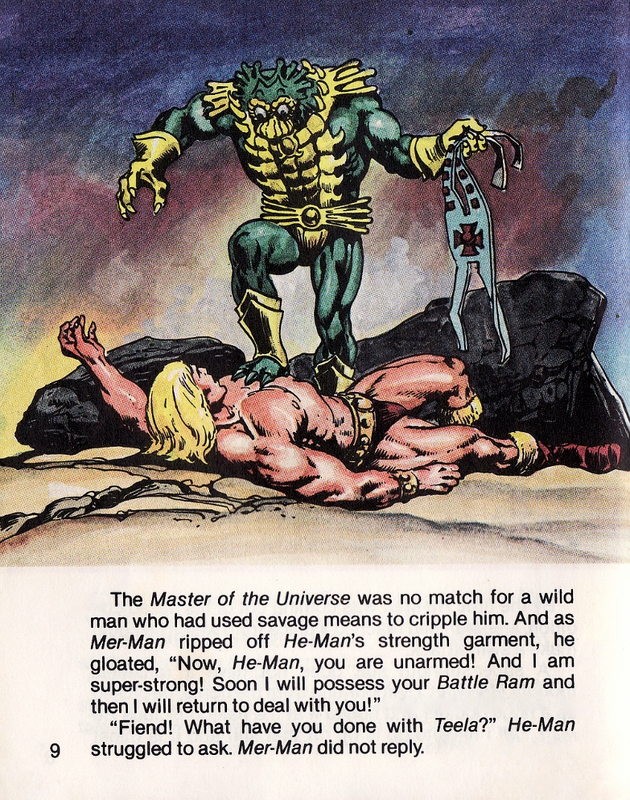 In the first minicomic, He-Man and the Power Sword, He-Man was a jungle warrior chosen by the Sorceress to be the guardian of Castle Grayskull. 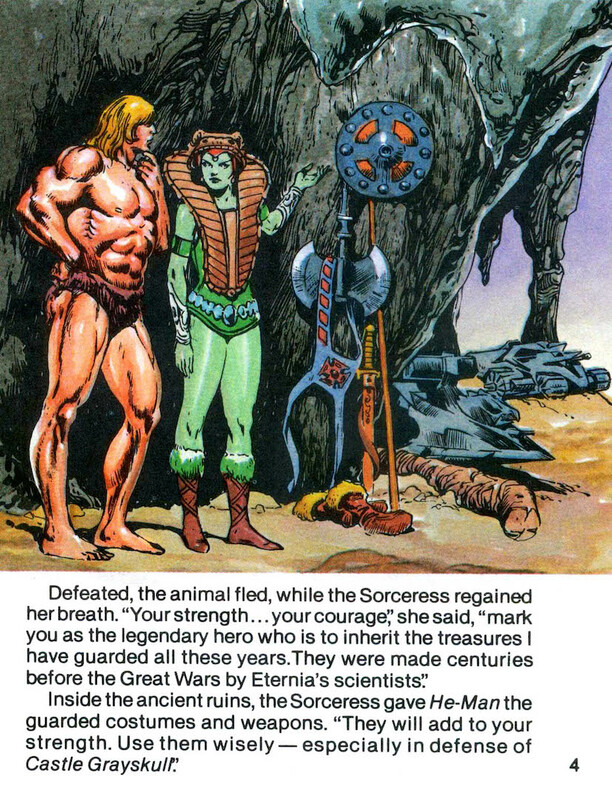 She gifted him with a costume, “made before the Great Wars by Eternia’s scientists”. It gave him superhuman strength – enough to punch through solid rock. (This recalls Thor’s belt Megingjord, which, when worn, doubled Thor’s strength.) 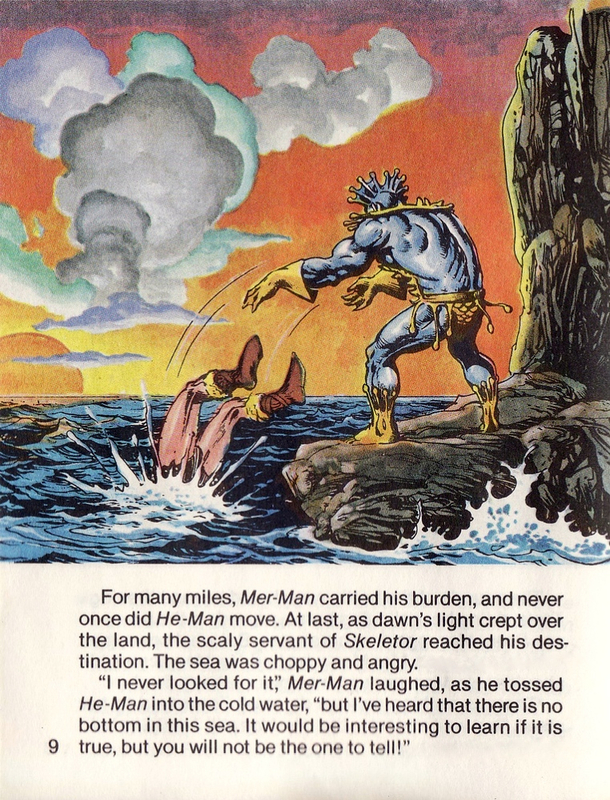 However, He-man could still be overpowered by a quick-witted enemy like Mer-Man. In months following the publication of these early minicomics, however, He-Man’s astounding strength was reinvented as a magical force gifted from Castle Grayskull. By the time the Filmation cartoon aired, his power became amped up to such an extent that he became something of a flightless Superman. He could create whirlwinds just by spinning his arms. He could move the moon out of its orbit. He could lift and throw Castle Grayskull itself. 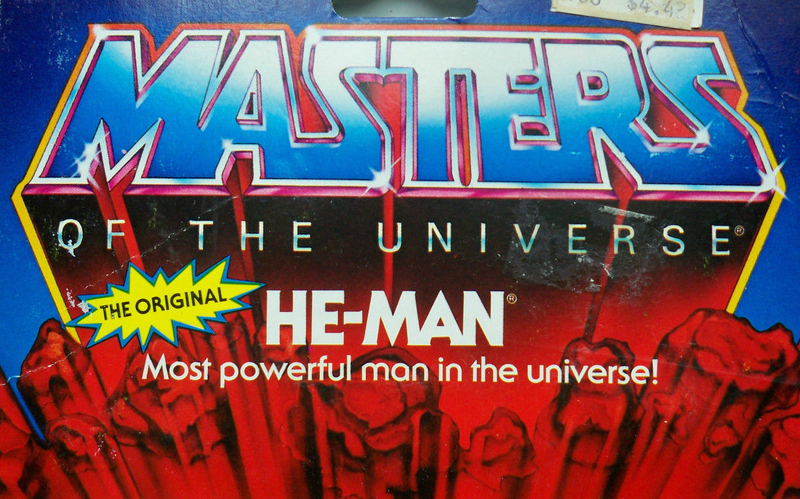 He-Man truly went from “strongest” to “most powerful” man in the universe. 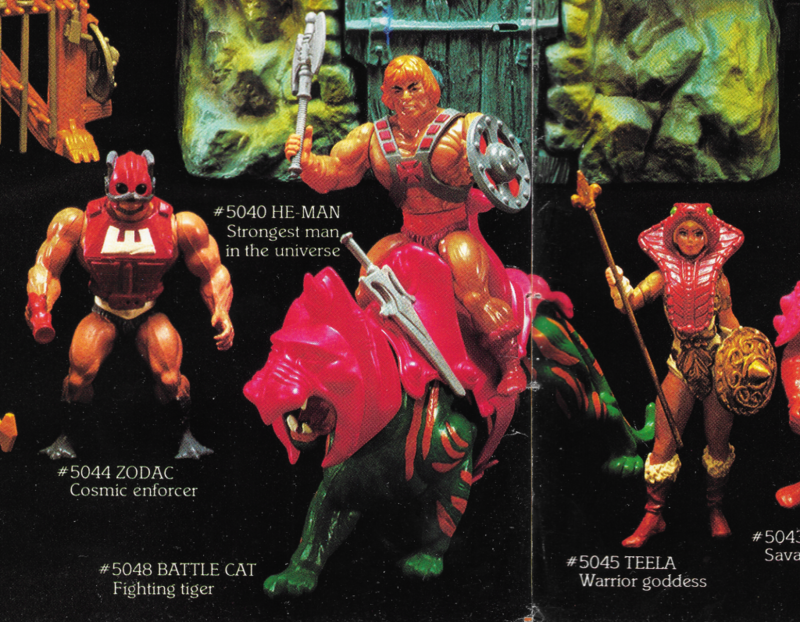 Another thing to consider – He-Man was, by far, the most muscular-looking figure who had ever been produced at the time. 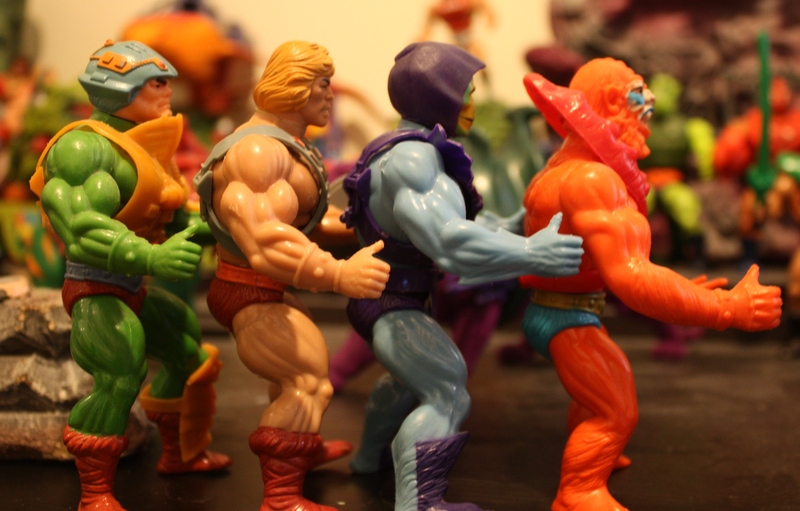 I remember very clearly my older brother telling me how unrealistic he thought those muscles were when He-Man, Man-At-Arms, Skeletor and Beast Man first arrived in our house late in 1982. 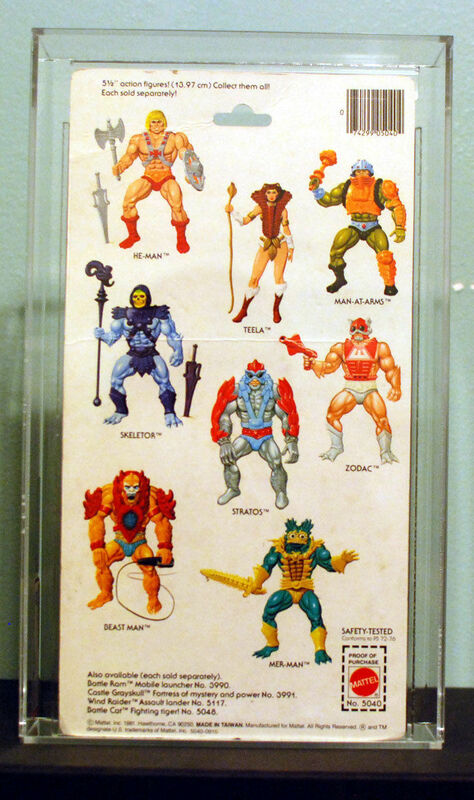 I remember pouring over the mini comics, but at that age I was mostly just looking at the pictures, and I never got the idea that He-Man’s strength came from anything more than the size of his muscles. 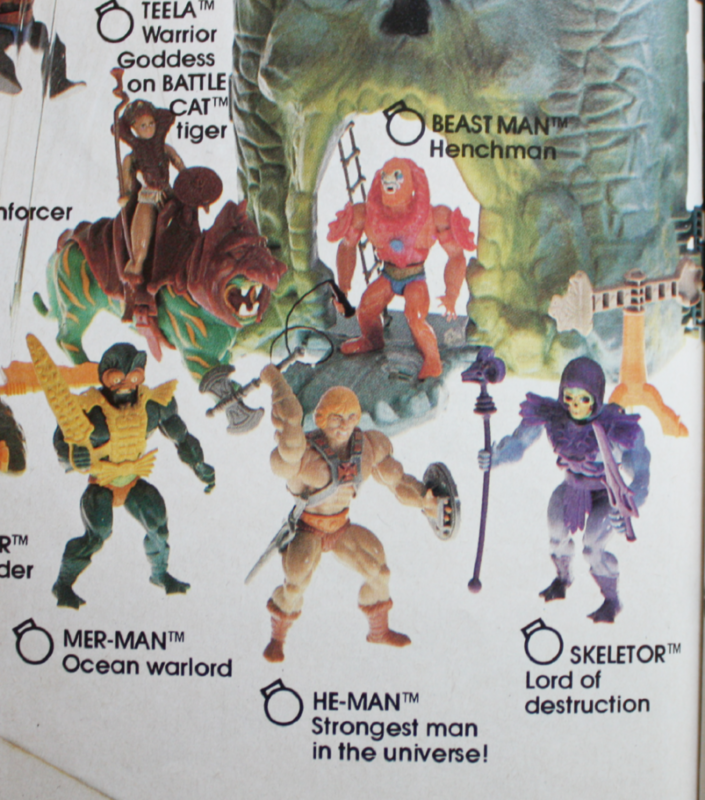 As an observant kid, I took note that He-Man’s arms were much bigger than Skeletor’s or Beast Man’s arms. I was a little annoyed when I realized that Man-At-Arms had the same build as He-Man – I thought only He-Man should look that strong. 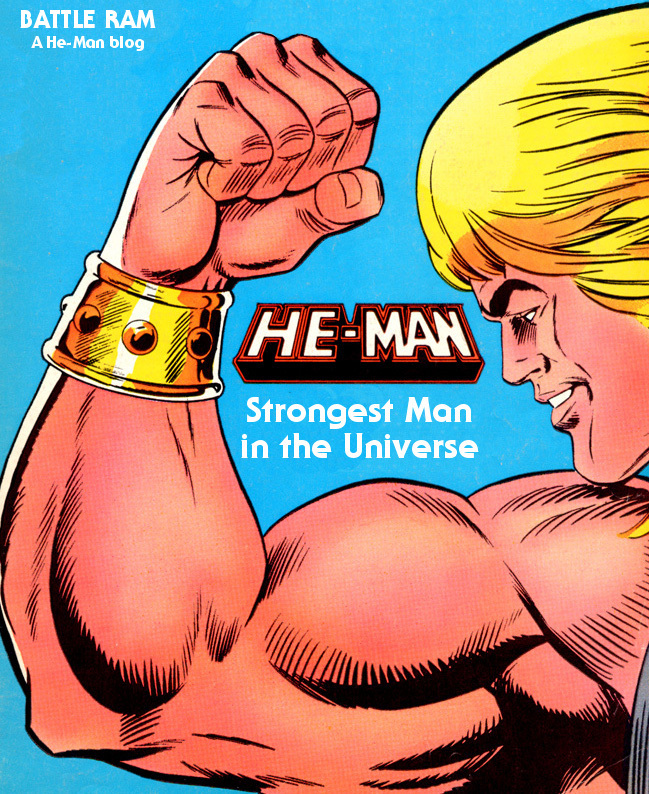 The “strongest man” tagline might very well simply have been driven by He-Man’s remarkably muscular appearance, before any thought of either technological or magical enhancements entered the scene. Now, is any of this really why his tag line was changed? Maybe not. Maybe in the end marketing decided that “most powerful” just had a nicer ring to it. Whatever sparked the revision, it certainly reflected the change in characterization that we got from the early 1982 stories to the ones that started to come a year or so later. 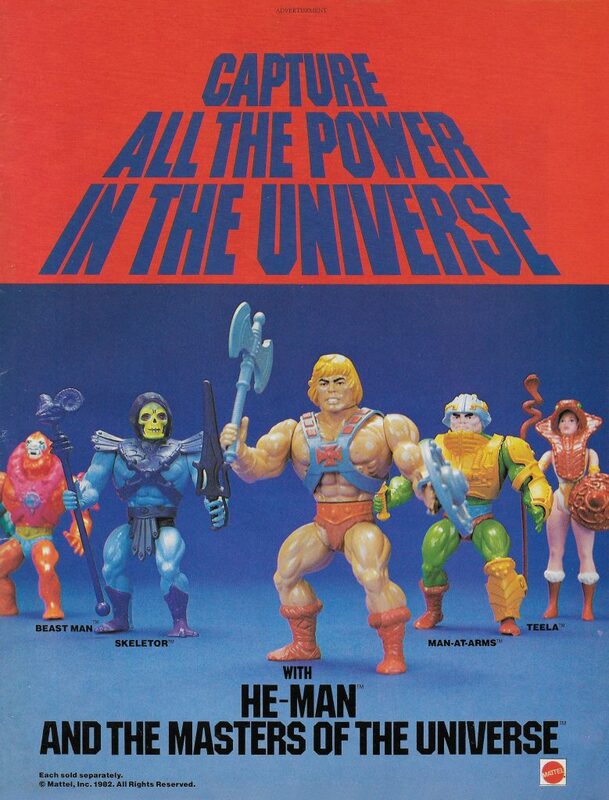 Let’s not forget, of course, that even the very first editions of He-Man, which predate the gift sets I mentioned earlier (but postdate the Toy Fair catalog), give He-Man the “most powerful man” tagline. So whatever was driving the change, it was going on very early, even if “strongest man” persisted here and there for almost a year. 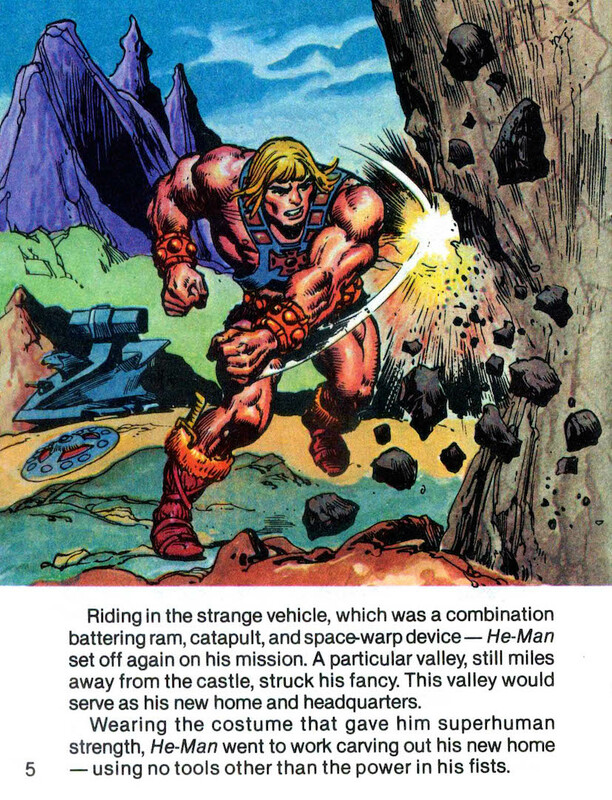 One more note: in Mark Taylor’s original conception, He-Man’s strength was supernatural, making him the strongest man in the universe, but not so strong that he could lift castles. He didn’t need a sword or any other external items to augment his strength – it was innate. I’d like to acknowledge Tokyonever, curator of the Grayskull Museum. 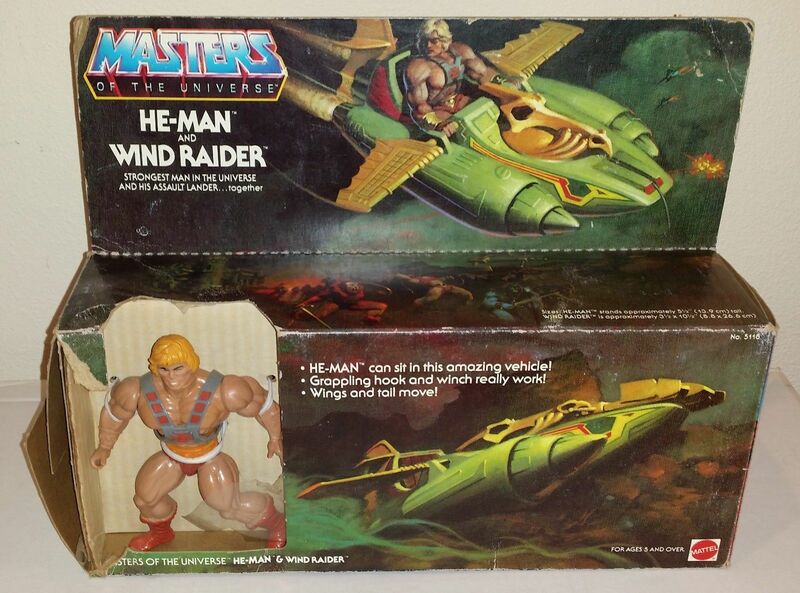 He first brought to my attention the fact that early He-Man/Wind Raider gift sets had the “strongest” tagline.